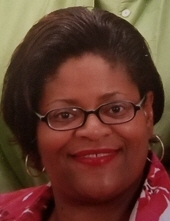 Pamela Lyles, 54, died April 12, 2019. Pamela K. Bradford was born December 4, 1964 in Memphis, TN to Dennis and Alice Bradford. Pam was raised in Memphis and graduated from Fairley Highly School in 1983, she attended Southwest Technical Community College. Pam had a passion for cooking, creating new meals and worked mostly in the restaurant and fast food industry. Pam also worked at Macy’s, where she enjoyed interacting with customers and meeting people. Pamela passed on Friday, April 12, 2019. Pam was a member and attended Mississippi Boulevard Christian Church and served God with a passion in truth and in spirit. In 1994, she married Larry Lyles. Pam was fun loving, outgoing and full of life. In her presence, she would radiate a smile, a laugh, or just have a good time in fellowship. She is survived by her parents, Dennis and Alice Bradford, grandmother Essie Patterson, brothers, Billy (Linda) Clark, Jimmy (Isia Mae) Clark from Oakland, MS, her sisters, Denise Bradford, Daphne Bradford, and Tracye Dogan, from Memphis, TN. Husband, Larry Lyles from Memphis, TN. Aunts and uncles, Vera Dear, Allean Pickens, Bessie (Earnest) Sanders from Memphis, TN, James (Gennie) Bradford from Clarksdale, MS, Willie Bradford from Detroit, MI. Her brother –in-laws, Stanley Smith from Memphis, TN, Levon (Stephanie) Lyles from Aurora, CO. Her nieces and nephews, Walter (Vanessa), Danisha, Alexus, and Trae, great niece and nephews, Demarcus, Autumn and King. A friend, George Nash, along with a host of family members and friends who loved her. To plant a tree in memory of Pamela Lyles, please visit our Tribute Store. "Email Address" would like to share the life celebration of Pamela Lyles. Click on the "link" to go to share a favorite memory or leave a condolence message for the family.